A flyover pergola is another great way to achieve more height without breaking the budget. 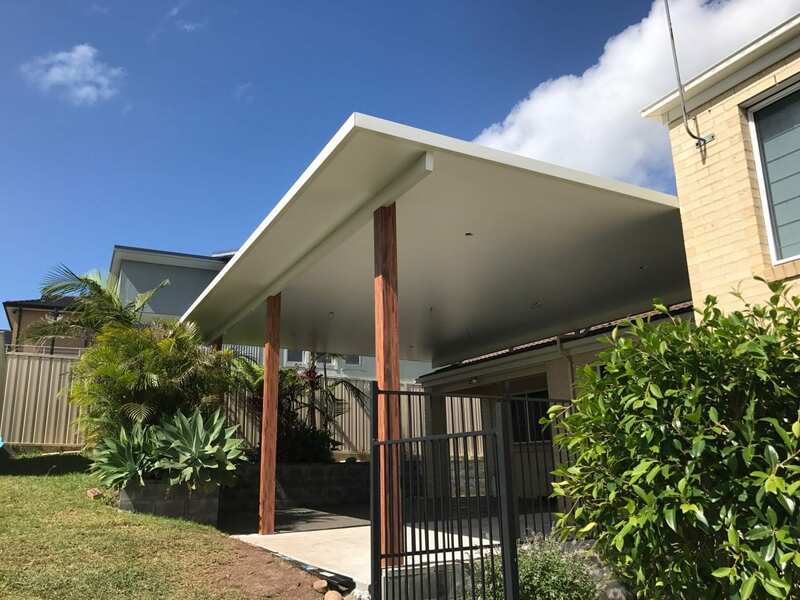 A flyover pergola is where the structure attaches to your house roof framework via waterproofed riser brackets which then protrude through your roof. We elect for this method as opposed to other uglier options because less is best! Our flyover pergolas work with all roof types and materials offering you plenty of versatility. Our flyover brackets and attachments are even suited for even the bulkiest of designs in high wind areas. 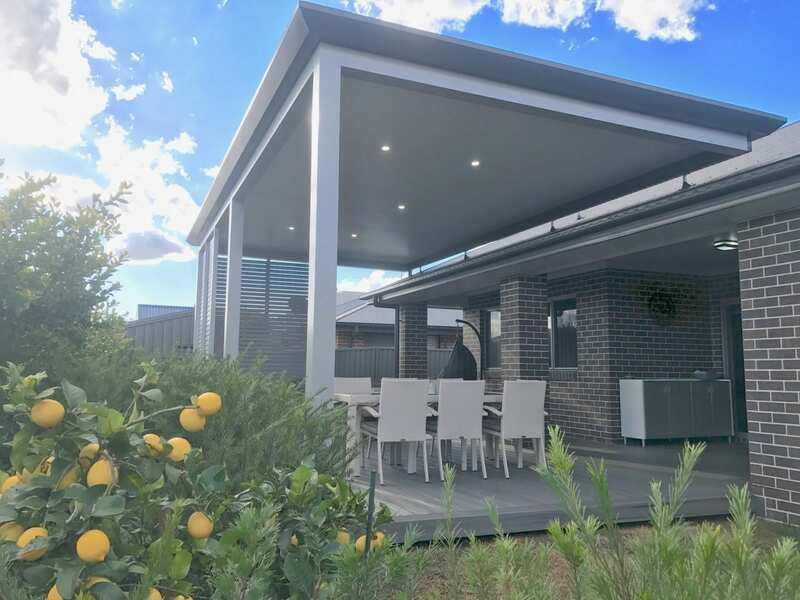 The additional height in a flyover pergola allows extra light to filter through into your entertaining space. 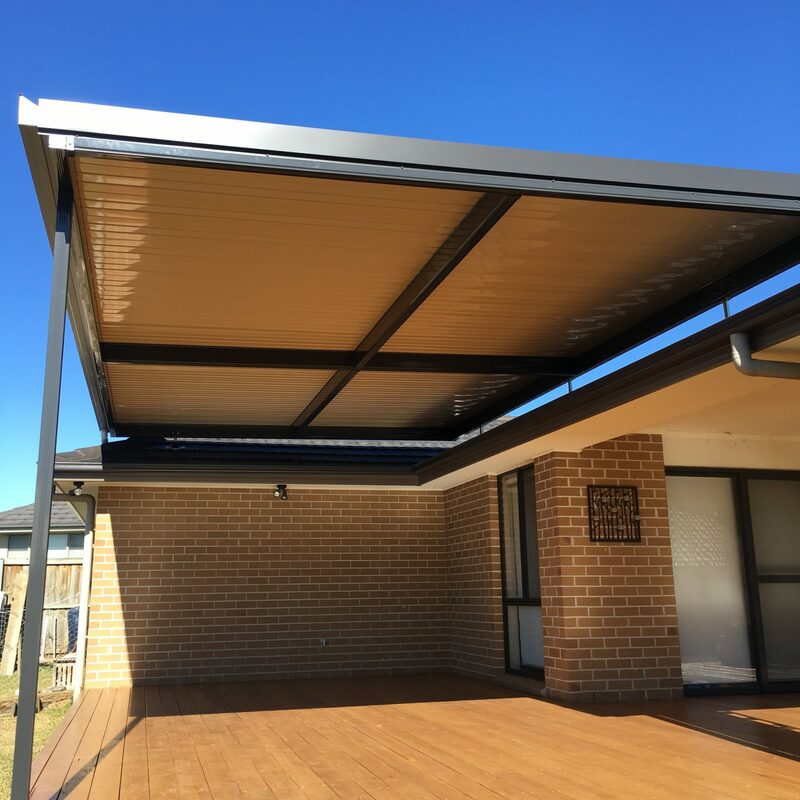 One of our flyover pergola bracket options features a subtle galvanised steel slique shaft that is barely noticeable when looking from below. 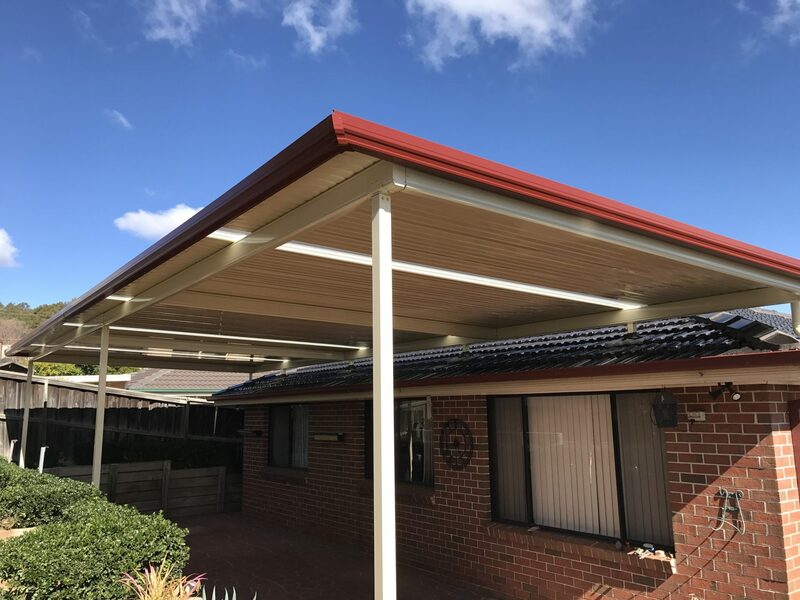 One additional bonus option with a flyover pergola is the ability to cut the pergola downpipe over your house roof which enables you to run water into your existing house stormwater system, rather than plumbing up an additional downpipe. Another flyover bracket option is our square shaft. These can be powdercoated to match the colour of your flyover pergola framework, or black to blend in with your roof tiles/sheets. 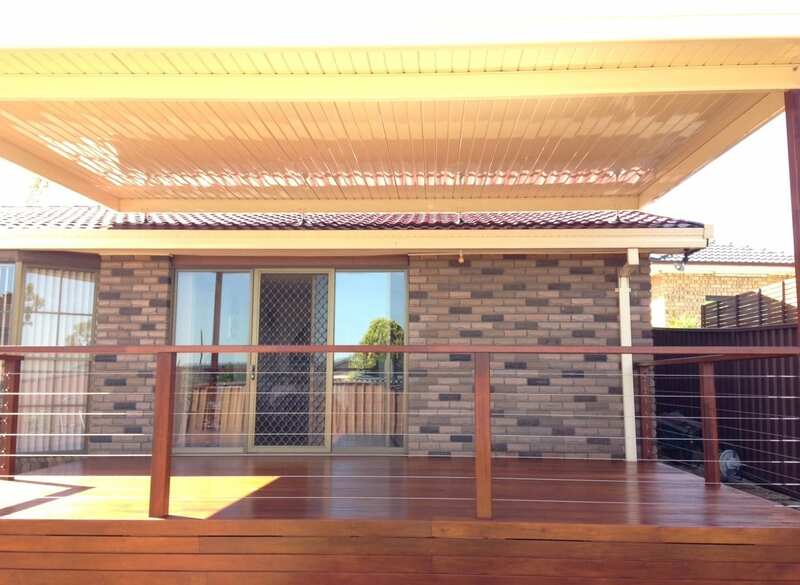 Our timber-look post wraps are a great optional extra to add a touch of class to your flyover pergola. Best of all, they are maintenance-free.